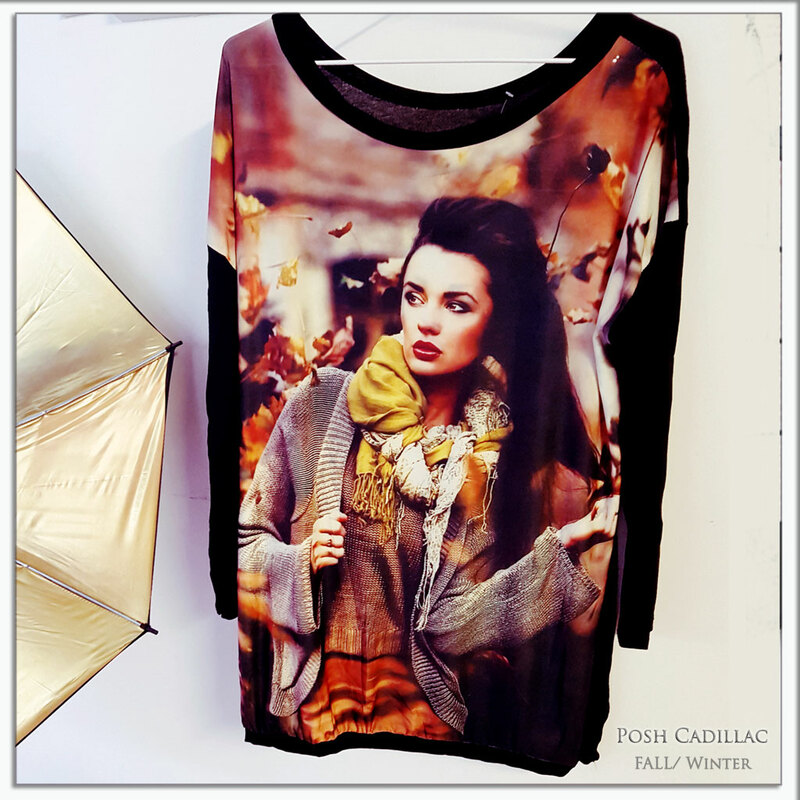 Longsleeve shirt of Fall/ Winter black top of full front print; portrait of lady and Autumn leafs. A nostalgic and sweet melancholic welcome of Fall with this black lightweight long-sleeve top, in colorful sepia based vintage tone. Wear on it’s own in Autumn and combine with a tight fitted short-sleeve or long-sleeve top or bodice. Combine with short skirt, tights, or jeans, discret gold necklace and perhaps a chunky gold buckle or watch. As seen in pictures, it’s a long shirt and is long enough to be worn as a short dress also. With the new fashion loose fitted style, one size fits most (mannequin size in photo Medium).